There is a limited time offer out there for American Express card holders of an increased transfer ratio to Hilton Hhonors. Users have reported offers of 20% to 30% appearing in the points transfer section of their accounts. The offer is valid until 11/30/18. When we checked our Amex Platinum account today, we found we have been targeted with the lower offer – 20% – or 1000 MR points for 2400 Hilton points. 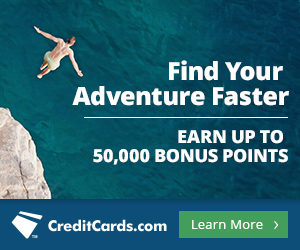 But US Credit Card Guide reported some users getting an offer of a 30% bonus – 1000 MR points for 2600 Hilton points. The Points Guy values Amex Membership Rewards points at 1.9 cents a piece, and Hilton points at just 0.6 cents each. Amex’s normal transfer ratio to Hilton is 1:2, which would be 1.2 cents in value you are getting out of your Amex points. Transferring at a the higher of the two offers, a 30% bonus, would mean you are getting 1.56 cents in value out of Amex points when transferring to Hilton, still less than the points are actually worth. Thus I don’t recommend transferring large amounts of Amex points over to Hilton, even with this increased ratio. This bonus would be useful however if you have a certain number of Hilton points in your account already and just need a few thousand extra to get sufficient points for a hotel stay you want to do. There are other, better ways to earn Hilton points, such as the Hilton Ascend card, also from American Express, which earns 6x Hilton points at US restaurants, US supermarkets and US gas stations – a value of 3.6 cents back per dollar, according to the 0.6c valuation.